​﻿They﻿ say babies are not cheap and we're sure no one will object if we say diapers are one of the most expensive item you will spend on your baby. The average age a baby ﻿is﻿ potty trained is between 22 and 30 months of age (of course, each child differs) so up till then, you will need to spend on countless bags of diapers and they all add up, don't they? What if we now tell you there is an alternative that will cut your diaper expense tremendously? And no, it is not some new invention (though we wish there is!) but rather, it is the Cloth Diaper which has been around for some time. Now before you groan and turn your back away - trust us, we'd be too when we think of one more added chore (cleaning and washing used diapers) to the endless list of daily parenting things to do- read on to find out why switching to cloth diapers may be one of the best decision you have made in life. And it won't be just for economical reasons, we promise! There are several types of cloth diapers but we'd recommend the Pocket type due to its ease of use and the lack of need for a diaper cover. 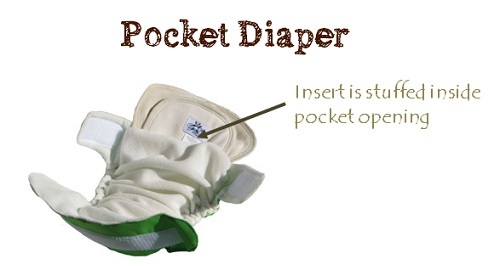 Our reviews on cloth diapers is focused on finding the best pocket diaper for you. In short, pocket diapers are made of a waterproof shell and an inner liner, with a "pocket" in between the two layers to fit an absorbent pad. The absorbent pad is where all the mess go to while the waterproof shell prevents any leakage from it (which is why it is one of the best solution for poop ﻿﻿explosion). 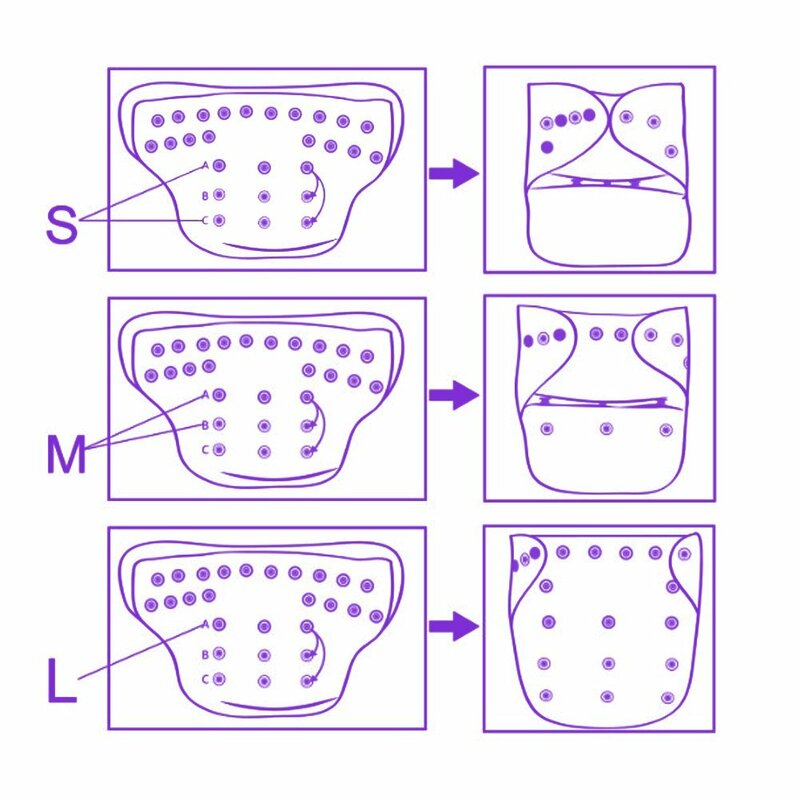 While it is understood that cloth diapers are generally l﻿﻿ess absorbent than disposable ones due to the lack of sodium polyacryl﻿﻿ate, the Nora's Nursery Baby Cloth Pocket Diapers have overcome this with its insert design. 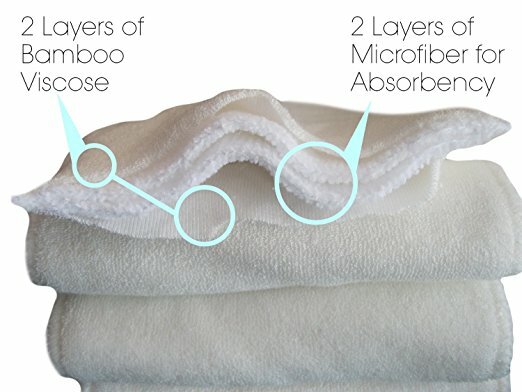 The two outside layers are made from Bamboo (which is the best cloth diaper covers, especially for newborns) to maintain comfort against your babies bottom while the 2 inner layers are microfiber to absorb moisture and maintain dryness.​ What's brilliant about this design is that other than being eco-friendly, these inserts get softer and more absorbent with every wash. 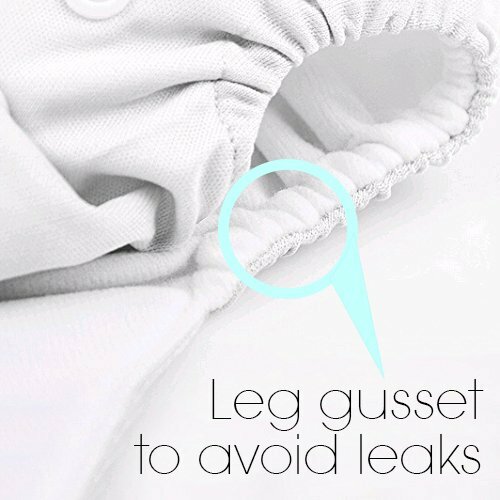 The Nora's Nursery Baby Cloth Pocket Diapers also come with 1 wet bag which has two compartments - the outside for storing fresh, clean diapers while the soiled, wet ones can be zipped up in the waterproof main compartment for days when you need to be outside the house. 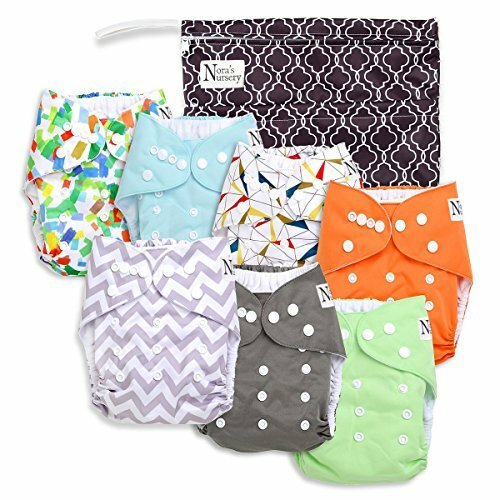 There are not many cloth diaper brands that use bamboo in its diaper manufacturing anymore and this is why we love and think the Nora's Nursery Baby Cloth Pocket Diapers is the best reusable diapers for newborns. 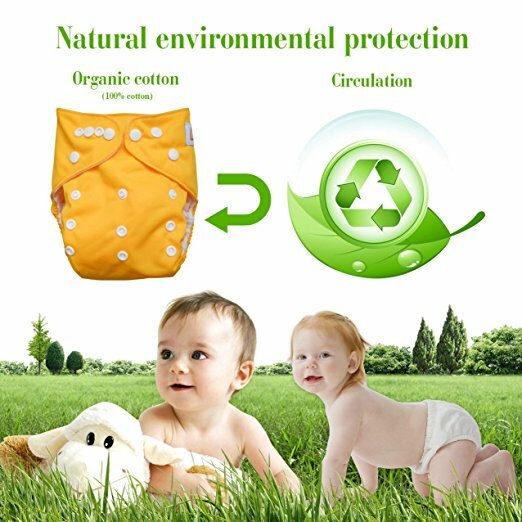 We know how delicate and soft a newborn's skin is so the bamboo layers of this cloth diaper is the best as it is the gentlest out of all materials against your baby's bottom. 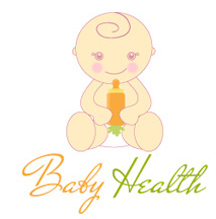 The reason we rate this a second to the Nory's Nursery is that it is made of 100% microfiber terry cloth while the latter has two layers of bamboo material which is gentler on baby's skin and is more environmental friendly. Nonetheless, 100% microfiber makes the ALVABABY more absorbent than regular flannel and it also dries much faster after being washed. Because of this, one can say it is the best washable diapers. 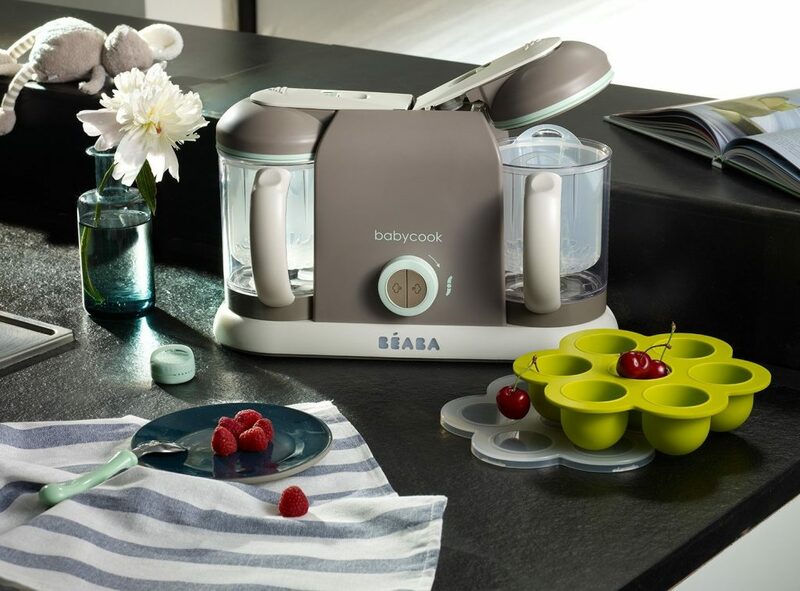 The ALVABABY is machine-washable but we'd strongly ﻿recommend﻿ you to follow the care instructions given, such as adhering to the washing temperature and no bleach, no softener restrictions so that your baby can get the longest wear from your cloth diapers . 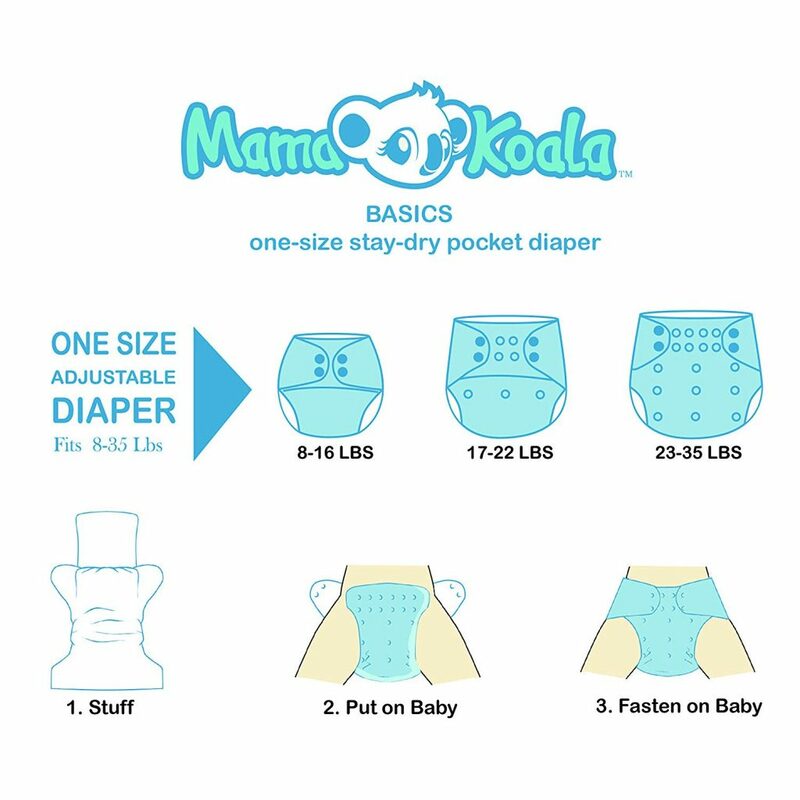 ​Compare to the Nory's Nursery and ALVABABY which fit babies from 3lbs, Mama Koala Pocket Cloth Diapers are more well suited for bigger babies as its ideal weight starts from 8lbs. As such, you may say this is not one of the best cloth nappies for newborns. 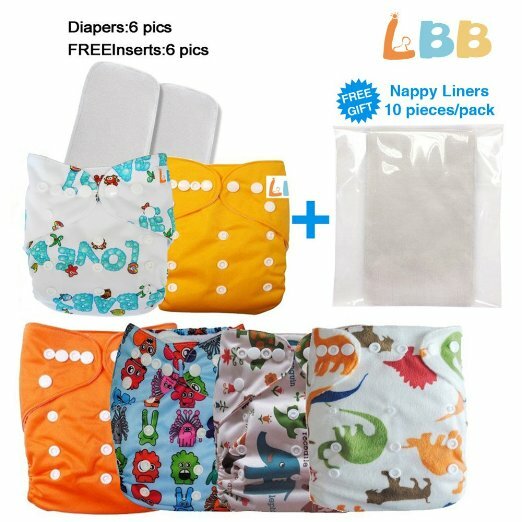 If you are looking for the best affordable cloth diapers in the market, look no further - the LBB Baby Cloth Pocket Diapers Se﻿﻿t is your answer. 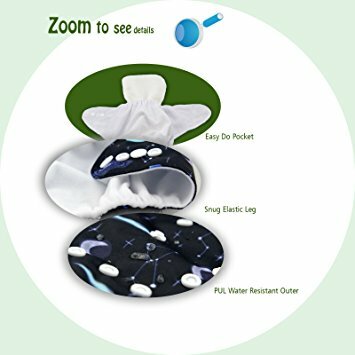 MooMooBaby's All In One Shell-Snap Cloth Pocket Diapers is another best baby reusable diapers for newborns that we would recommend for those looking for cheap cloth diapers. We are impressed with the thoughtfulness put into the design of this cloth nappy as it also caters room for an extra insert for the heavy wetters. If this is your situation, you will need to buy extra inserts as it does not come with it. We suggest these﻿﻿ which are of the best quality. It is waterproof, reusable, washable and antibacterial. 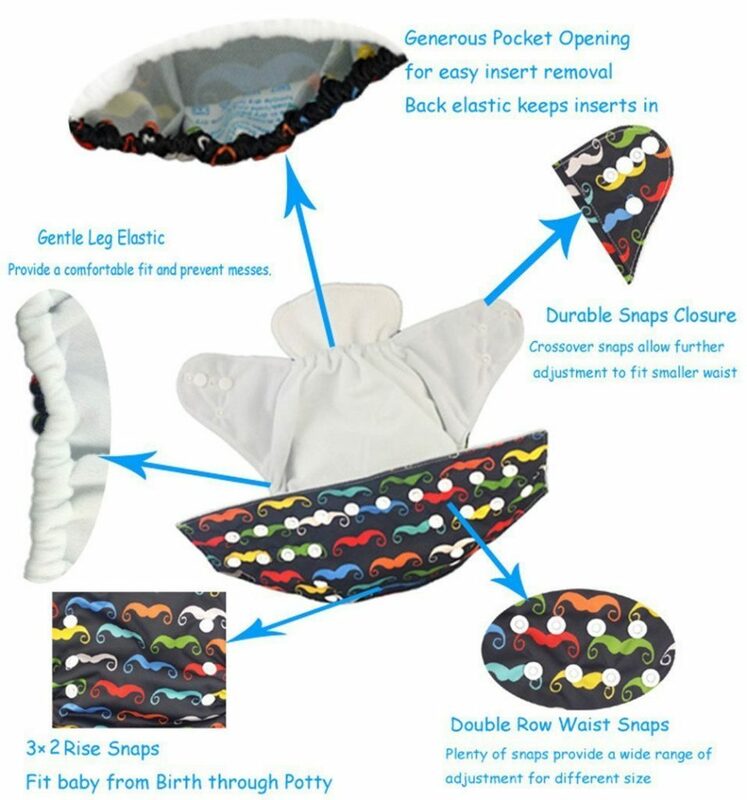 The three rows of adjustable snaps enables you to adjust according to baby's best fit and it also comes with a detailed guide on how to adjust the size to ensure baby's comfort. 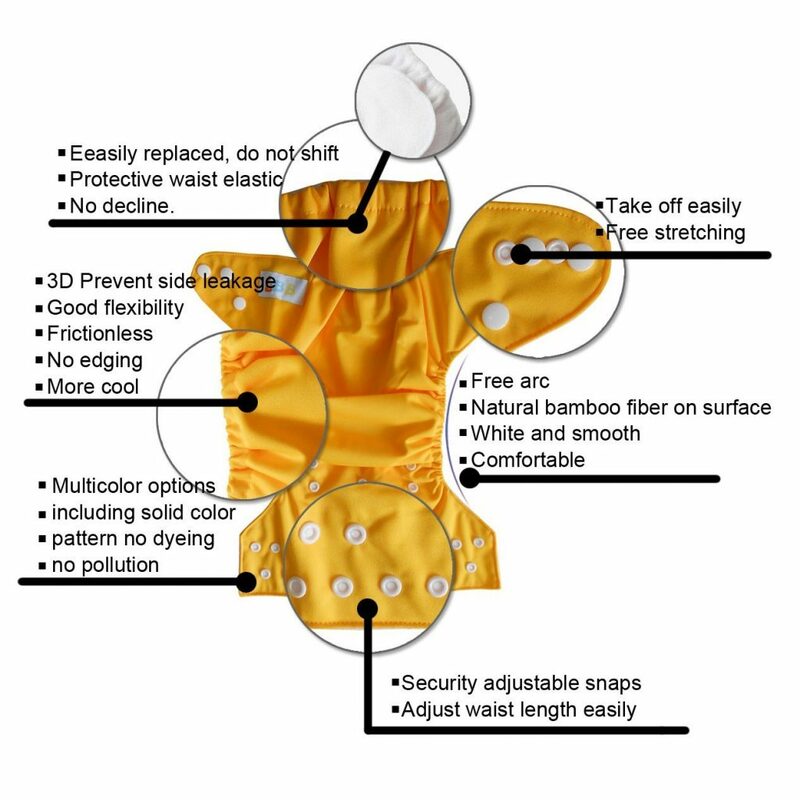 With cloth diapers, you will only need 24 - 36 diapers (if you wash twice a week) and most of all, you do not have to worry about getting different sizes to accommodate baby's growth as most cloth diapers are a one-size-fits-all, given their plastic snaps / Velcro closure design. 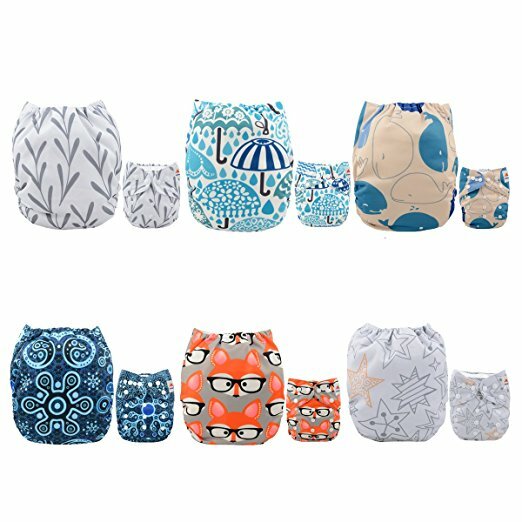 Needless to say, reusable cloth diapers are definitely much cheaper than disposable ones in the long run for most families and you'll get the most cost benefits if you start using them early. In for a gross surprise when you see poop up your baby's back and everywhere when you change his/her diaper? This, my friend, is called the "poop explosion" and it couldn't be more frustrating and irritating for both parents and babies. 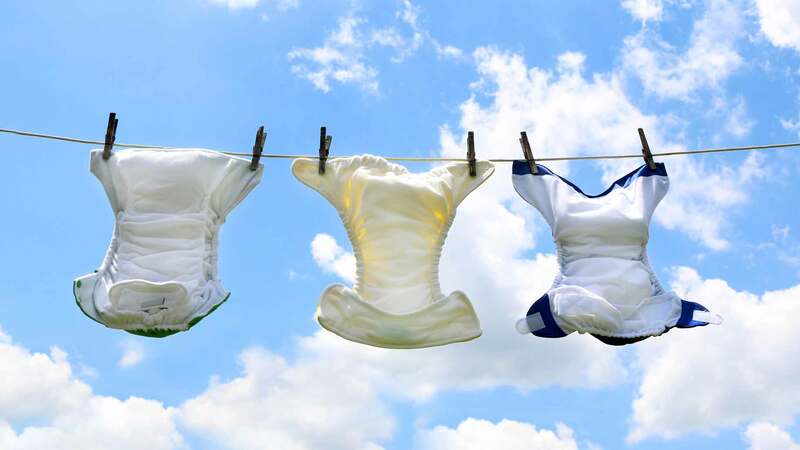 You may have heard of one solution - switching up a diaper size ​as poop explosion can be due to diapers being too small, but this may not work for everyone and you risk getting more leakage of both poo and pee if the diaper is too big. With cloth diapers, you will not experience another leakage or poop explosion anymore and this is predominantly due to their design. 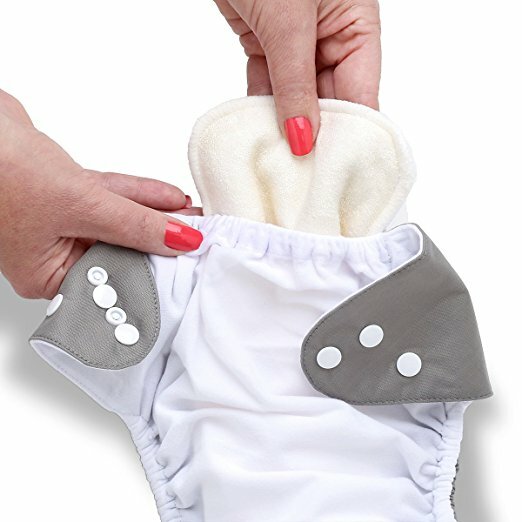 There are two parts to a cloth diaper - outer "shell" that is water-resistant to stop leaks and never touches baby's skin, and inner "stuffing" which holds all the waste for you to dispose of into the toilet. 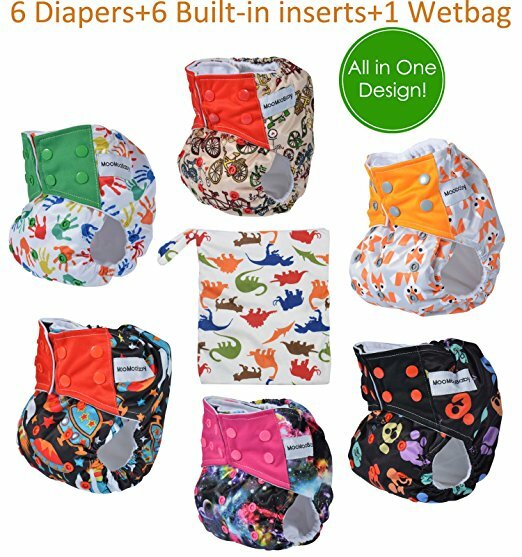 Nowadays, most cloth diapers are machine-washable and many even survive a few accidental dryer cycles without any misshapes. And you can always buy diaper liners to lay over the absorbent layer of your cloth diaper to help keep solids contained for easy clean-up. Bioliners like these are breathable and flushable which means no more dunking or swishing of your cloth diapers! So really, there isn't that much extra or hard work involved with cloth diapers as you would have thought. Unlike regular diapers (be it cloth or disposables), a swim diaper does not absorb when wet (otherwise, it will defeat its one main purpose - for swimming!) which means it does not absorb pee at all. It otherwise holds poo well to prevent any accidental mess in the pool for the benefit of all. 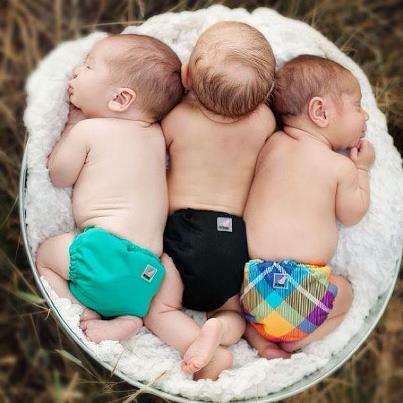 There are, of course, disposable swim diapers as well but we think the ones made from cloth are a better option as they are gentler on a baby's bottom and do not stretch out like plastic disposable. Diapering does not stop just here. 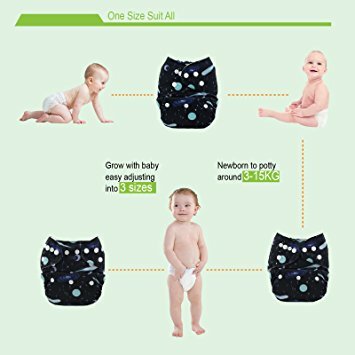 Do not think that there is no need for a diaper pail just because you are using cloth diapers, in fact, there are specific diaper pail for cloth diapers! 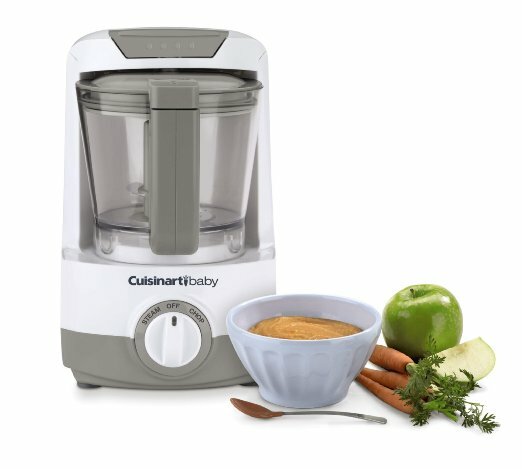 Click here to check out our best diaper pail reviews.